Almost inevitably when someone I've recently met discovers I've done a bit of travelling they innocently ask me a question I loath. "Where was your favorite?" or worse, "What was the best?" It's a hell of a question, because I've had so many varied but wonderful experiences all over the world. Am I to do decide then that the kind Mexican who invited me to his home for dinner was "better" than the day I had a cup of tea on top of a mountain in the Swiss Alps with some newfound friends? I know the question is innocent, its only really intended to invite me to share a travel story. It's just the way its worded that rankles with everything I've ever felt about travelling. So, I inevitably deflect the question. I mumble something about experiences always being different and try to change the topic. 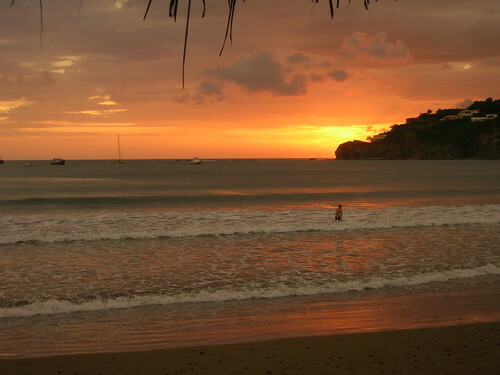 Today, in San Juan del Sur, I met a traveler who could answer that question, with ease. 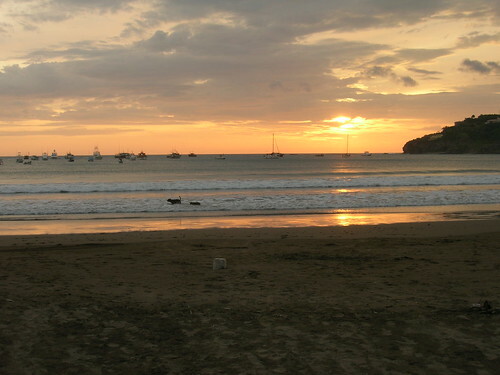 I arrived here, this beach town on Nicaraguas Pacific Coast in the afternoon. I'm sharing a dorm room with about half a dozen others and a couple of us got to talking. After an afternoon spent in an uncomfortable bus I was dazzled with this place. It's a beautiful spot, a small town in on a small bay surrounded by hills protecting a long sandy beach and a flotilla of yachts and fishing boats. One traveler, a genuinely pleasant guy from Seattle, confidently stated that this beach wasn't barely worth it. That he'd found the "best" in Croatia and this one really was nothing remarkable. 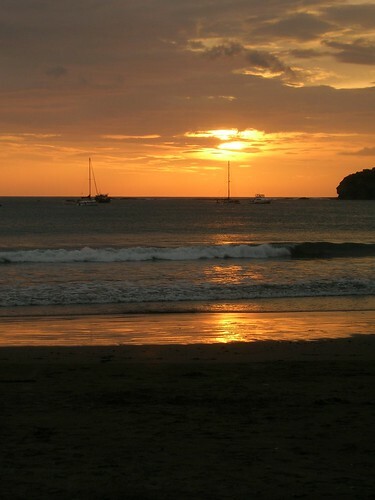 "To each his own," I replied, "but luckily for me my beach is here!" I shortly left for some swimming and then for dinner. While watching the sun set over the beach behind my spaghetti tried to sort out some thoughts about the conversation. He wasn't being obnoxious, he was clearly a nice guy who'd done a lot of travelling. I didn't feel annoyed so much as I felt pity. I got to look out onto the beach I wanted to see tonight whereas he likely will never see his again. I started thinking again about the tyranny of the best. Human nature, it seems, drives us to rank things in order of value. Often with good reason, by recognizing somethings value it gives it even more. A great book that wins a Pulitzer prize will get more readers, thus magnifying the intensions of it's author. But it also costs something, a subtle detraction to everything else. What I don't know is if, on the balance, it's worth the cost. As the sun set fire to the sky I realized that this same question could also be where the line between childish naivity and worldly experience is drawn. Once a child picks their 'best' friend they lose a little of the gregariousness to all the others. Of course the best friend changes, but does the open hearted innocence ever come back fully? Once you discover that Hungry Hungry Hippos is the best game ever, will you still learn every new game with that wide eyed and delicious possibility that it may be wonderful? It's the same reason I sometimes roll my eyes when a friend who wears her heart on her sleeve naively tells me that, once again, she found the love of her life. I may roll my eyes with a smirk, but that doesn't mean I'm not a little jealous too. I don't really know what to make of this train of thoughts, nor what to do with them. All I've gathered is, based on what it can do, the word 'best' is an extraordinarily potent one that should be used with care. Perhaps its even, the best? "...to say that we prefer A to B is not a comparison of two degrees of love but means that B is not loved at all. For if we love someone, he cannot be compared. The beloved is incomparable..."